NITHM Admission 2019 for PGDM, MBA, B.Sc, BBA – Dr. YSR National Institute of Tourism and Hospitality Management has released notification for admission into the PGDM, MBA, B.Sc, BBA programmes for the academic year 2019-20. Interested candidates can read the complete detail of NITHM Admission 2019 for PGDM, MBA, B.Sc, BBA such as application form, eligibility criteria, admission schedule etc. on this page. LATEST: Application form has been released for NITHM admission. Scroll down to apply. NITHM offers admission from the eligible candidates for PGDM, MBA, B.Sc, BBA programmes for the session 2019. Candidates are advised to read carefully eligibility criteria and other details. Schedule for the NITHM Admission 2019 for PGDM, MBA, B.Sc, BBA is given below. Application Form process for NITHM Admission 2019 for PGDM, MBA, B.Sc, BBA programmes has been released by National Institute of Tourism and Hospitality Management. The interested candidates will apply online to the official website (i.e. www.nithm.ac.in) of National Institute of Tourism and Hospitality Management, Hyderabad. Click here for NITHM registration. Admissions are open for Full-Time MBA (Tourism & Hospitality) Program (Duration: 4 Semesters). The selection is strictly made on the basis of merit. Students who have completed an Undergraduate Degree, including Tourism & Hospitality Graduates with 50% marks aggregate (can be relaxed by 5% for SC/ST candidates), are eligible for admission to the MBA (T&H) Course. They should have appeared for any of the management aptitude tests viz. MAT/ ICET. Selection would be through Group Discussion followed by Personal Interview. All qualified candidates will have to submit a physical fitness certificate from a Registered Medical Practitioner at the time of admission. A few seats are earmarked for foreign candidates and those sponsored by Industry, NRI’s and Entrepreneurs. Foreign students have to route their applications through MHRD (Ministry of Human Resources Development, Govt, of India, New Delhi) or ICCR (Indan Council for Cultural Relations, New Delhi). For candidates from General, OBC and Physically Handicapped categories, the upper age limit is 22 years at the date of submission of application. In the case of SC/ST candidates, the upper age limit is 25 years from the date of submission of application. During selection procedure, the relevant certificate must be produced in original as a proof of age. 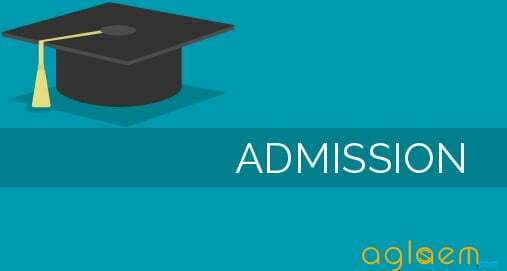 Admission Process – Candidates are required to appear in UGAT national level admission test conducted by All India Management Association (AIMA). Candidates, Shortlisted on the basis of performance in UGAT will be called for Interview at NITHM campus. 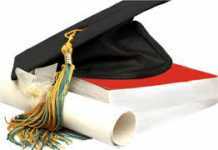 A pass in 10+2 system of Senior Secondary examination or its equivalent with English as one of the subjects. Candidate must have passed English as a subject of study (core/elective/functional) in the qualifying examination to appear for NCHM JEE. Those appearing in 10+2 or equivalent examination can also appear in JEE 2019 on the provisional basis. 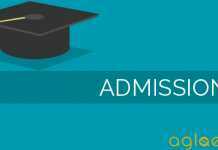 Provisional admission will stand cancelled if proof of having passed the qualifying examination (10+2 or its equivalent) is not submitted at the time of counseling or at the time of admission. The offer of admission is subject to verification of original certificates/documents at the time of admission. If any candidate is found ineligible at a later date even after admission to an Institute, his / her admission will stand cancelled. Qualifying Examinations for Indian Students – Plus two level examination in the 10+2 pattern of Senior Secondary education of any recognized Central/State Board, such as Central Board of Secondary Education and Council for Indian School Certificate Examination or State Boards of Secondary Education. Age limit (Age Limit as on 01 July 2019) – For candidates from General and OBC categories the upper age limit is 22 years as on 01.07.2019. In the case of Scheduled Caste and Scheduled Tribe candidates, the upper age limit is 25 years as on 01.07.2019. Physical Fitness: All qualified candidates will have to submit a physical fitness certificate at the time of admission from a Registered Medical Practitioner in the prescribed format. Dr. YSR National Institute of Tourism and Hospitality Management will release the NITHM Admission 2019 MBA and BBA programme Phase I and Phase II result on the official website. The direct link to check the result is also provided below for the sake of candidates.